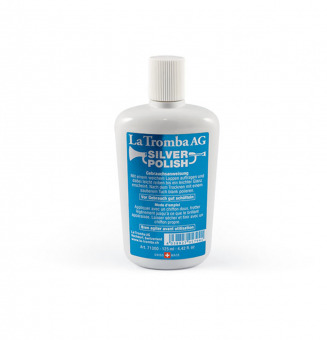 Cleaning and polishing liquid specially for silver-plated or sterling silver instruments and other precious metals. 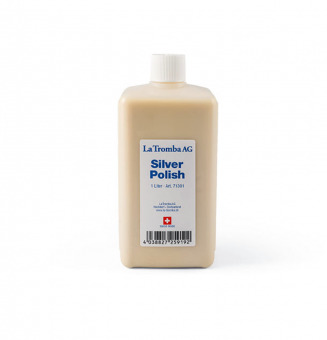 La Tromba silver polish cleans and smooths the silvered surface without causing corrosion and gives a high gloss. 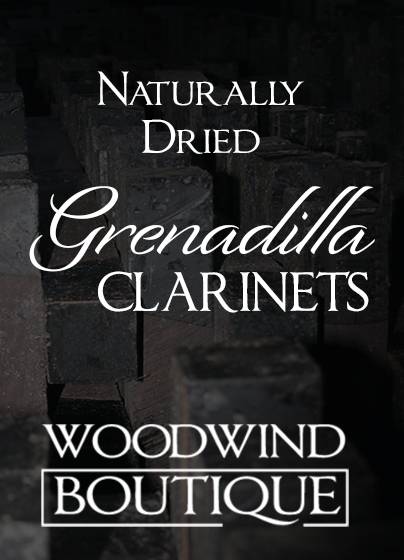 It seals the surface and protects against renewed tarnishing. 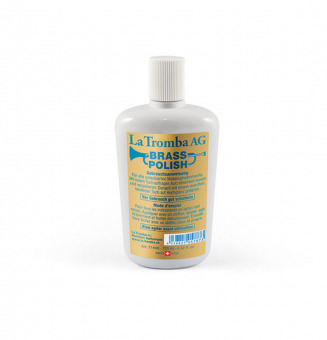 For cleaning all unlaquered brass and red brass instruments. 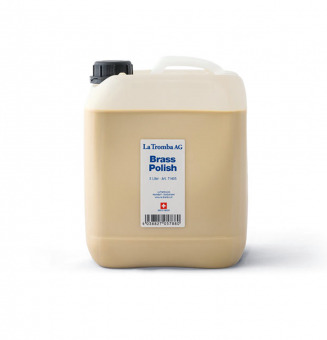 Even badly oxidized areas can be cleaned with the brass polish.